1. 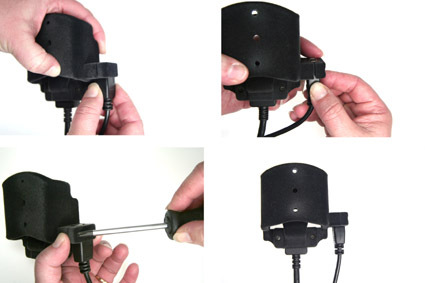 Installation of charging cable: Remove the back piece from the holder. 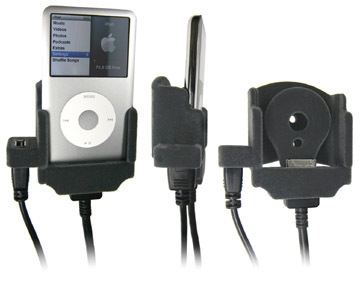 Place the holder with the backside upwards. Press on both sides of the connector, so the notches go into the connector. 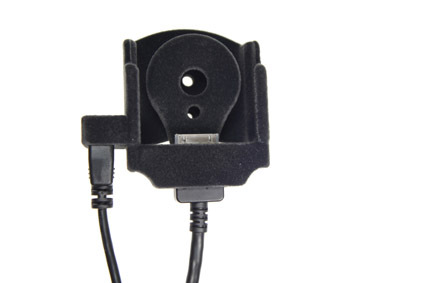 Place the connector into the lower part of the holder. 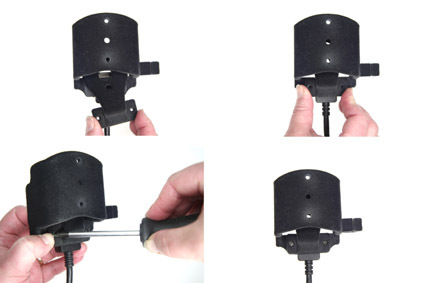 The mark pointing downwards, so you can not see it when placing the connector into the holder. 2. Place the back piece over the connector and screw it into place. The cable is in place. 3. 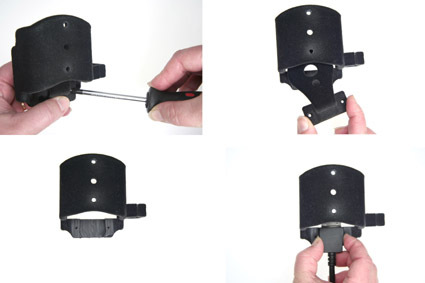 Installation of USB cable: Press the connector in place in the holder and tighten the screw. 4. The holder with cables in place.